Six years ago, Natalie dumped Jake Fisher with a note. The next day he got an invitation to Natalie's wedding to another man, Todd. Even though Jake went to the wedding and witnessed with his own eyes, he never moved on. He always thought about his lost love. He even made a promise to leave Natalie and Todd alone. So six years later when Jake comes across Todd's obituary, he cannot stay away. All bets are off, right? He goes to the funeral hoping for a glimpse of Natalie, but the widow is a completely different woman! It turns out that Todd was married to someone else for years. There is no sign or mention of Natalie. Now Jake is baffled and even more determined to find his Natalie. This is a story of lost love as much as it is a mystery. While reading, I held out hope for Jake to reunite with Natalie. Thanks to the writing style, I got to figure out the mystery right along with Jake as he uncovered clues. As the main character, Jake is very realistic. Feeling naked without his iPhone, drawing rational conclusions, making fun of crime TV and movie exaggerations, and being completely baffled during certain turns of events. Jake is a character I couldn't help but to like and root for. If you are looking to read a suspenseful, fast-paced novel that keeps you guessing, Six Years is it! 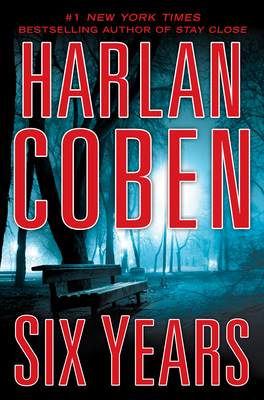 Author Harlan Coben's standalone books are just as good as his Bolitar series. Whether you are a Coben fan or new to his writing, I recommend Six Years. And to Coben: Keep the good stories coming! Six Years releases on March 19. Pre-order your copy now and get into this good mystery soon as its available. In the meantime, check out the book trailer below. Can't wait to read it! I love his books.